Believe it or not, I went out in the pouring rain to buy this empire buffet. I actually made the arrangements to purchase it and then the skies opened up. I didn’t want to lose the opportunity to pick her up and risk not getting it. So I donned my rain jacket and away I went. I absolutely love the curves on an empire piece, and a little bit of rain never hurt anyone. This piece wasn’t in perfect shape or even great shape. But it’s clear that it’s been around a long time and has ‘good bones’ as they say. 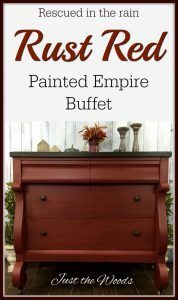 Once the sky cleared and the rain dried I brought the empire buffet into my shop for a makeover. So I decided to sand the entire piece completely, paying special attention to the top. That in itself made a world of difference. 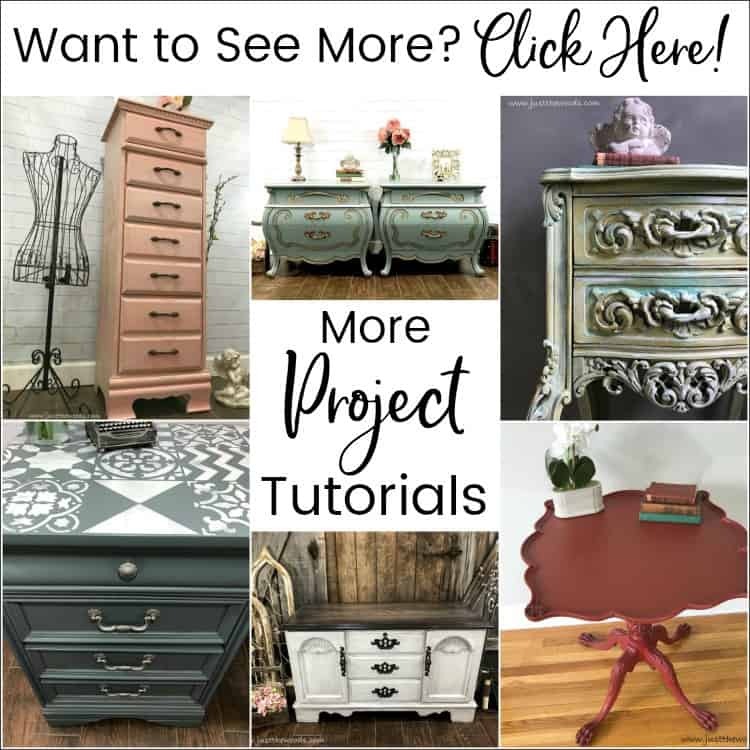 You can see my entire process for How to Prep Painted Furniture. 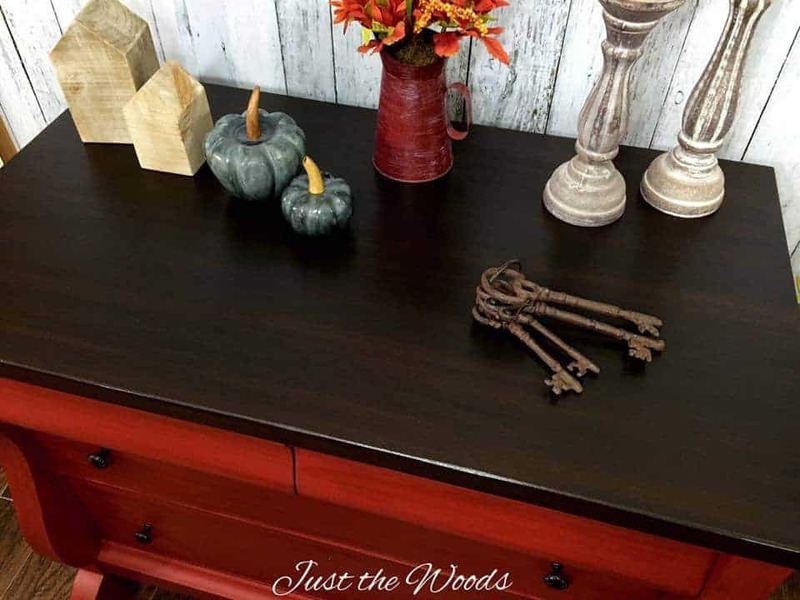 The solid wood construction is something you rarely see anymore in modern-made pieces. Once the sanding was complete I stained the top in a dark, almost black stain. I also removed the shiny gold knobs that were thrown on by a previous owner and replaced them with oil rubbed bronze knobs. 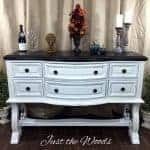 They have just enough curves and texture to perfect the piece. 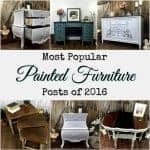 When it comes to painted furniture you never have to be limited by the color that you purchase, there’s a certain beauty in playing around and mixing your own custom color creations. Maybe next time I will remember to write down my recipe. 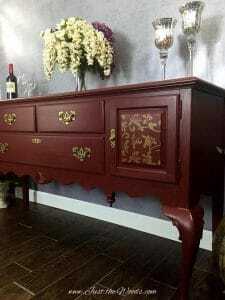 If you love red painted furniture then you may also enjoy this Custom Painted Cranberry Credenza. 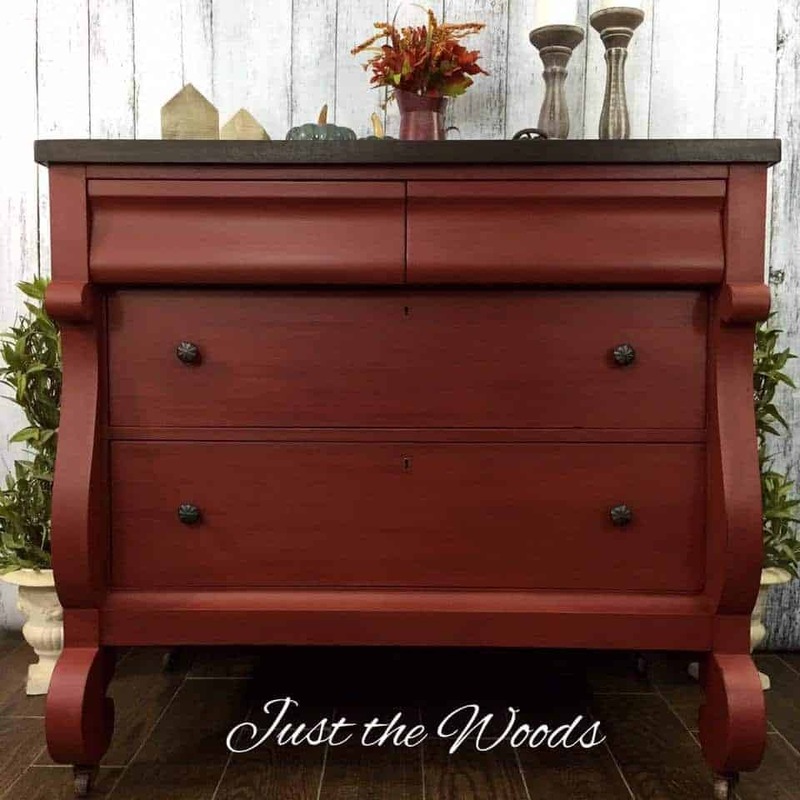 This is beautiful – love the colour you mixed and the dark stain you used and the knobs – perfect. 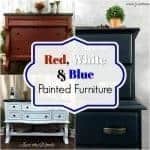 What make of paint and stain did you use if you don’t mind me asking? And… is it the glaze that is giving it it’s ‘sheen’ or did you use some kind of acrylic varnish? Love this piece! 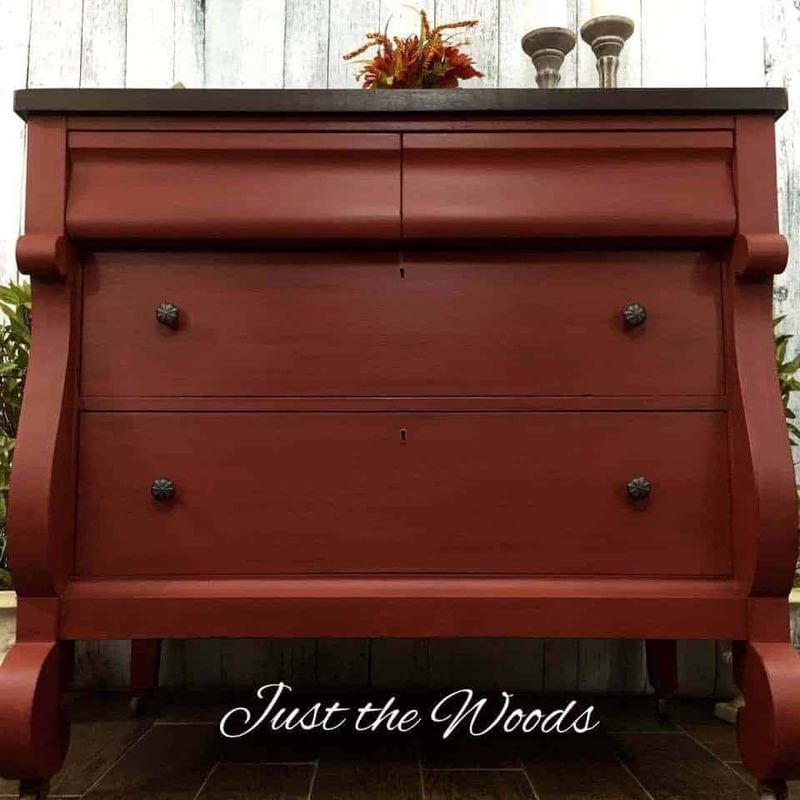 Love the dark top and the rust red together! Awesome makeover! 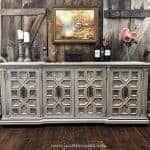 Hi, I love empire furniture too, I restored a chest a few years ago and love it, it sits in my kitchen and I use it for storage. 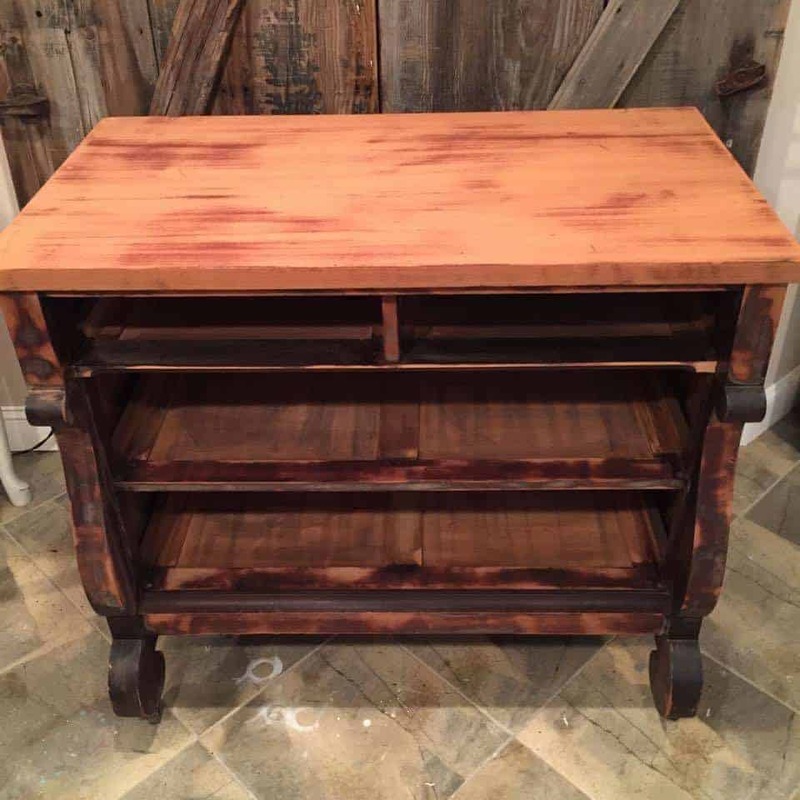 I recently bought the same piece you have but it was in really poor shape, the veneer was broken in one spot on the top, so I’m not staining it. ll paint it because I cant repair veneer. I love your paint color and normally I don’t like rusty redish colors, but you got the perfect combination. I was planning an off white tone, buuuut???? What a stunning rich color! You did such a nice job on this piece! It certainly has the WOW factor! 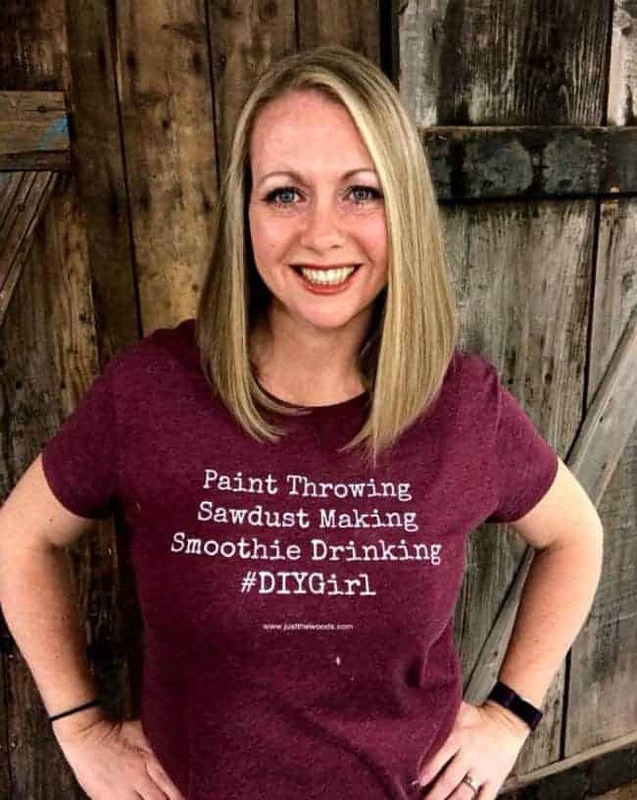 I would like to invite you to share some of your work at my Making Broken Beautiful party this week! It runs every Thursday thru Sunday. I do hope you will come share some inspiration! thank you Terry! and Id love to join the party, Ill be sure to come over and check it out! You acquired a beautiful piece despite the rainstorm. Sturdy, beautiful lines, lovely. I loved reading how you created your rust color by mixing your colors. It’s just a stunning piece and you did a great job. 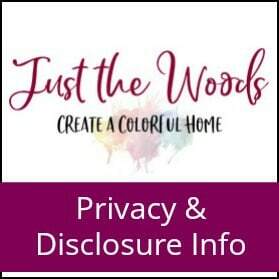 I saw your link at The Painted Drawer Link Party. What a beautiful piece and a lovely job you did on it. I love the color you mixed. I am loving this makeover. You did an awesome job. Colors see gorgeous! Love your color mix Kandice, I’ve been searching for an Empire myself for quite a while now. Yours came out beautifully! Kandice, that is stunning! 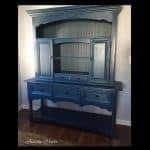 So many times when I’ve seen painted pieces before and after, I’ve thought the before looked better. But THIS is gorgeous! I have a piece like this. It is not finished, but the style is the same. 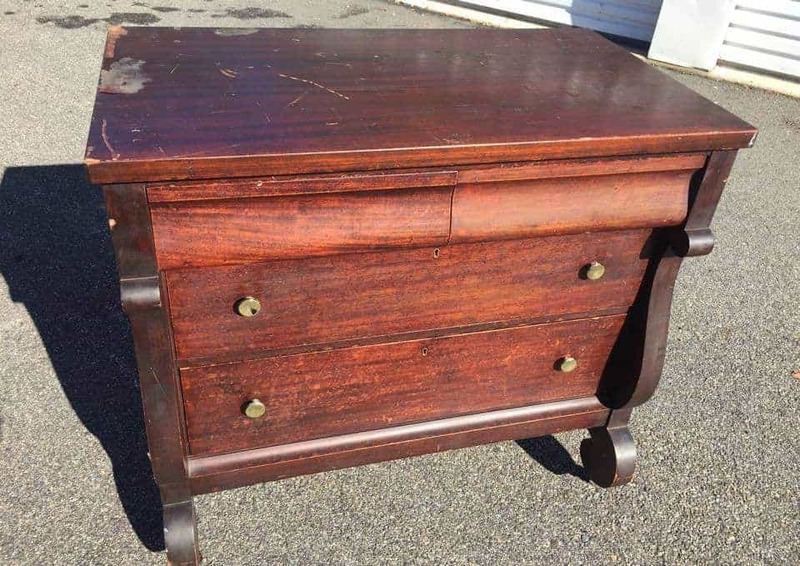 Can you tell me the value of an unrestored piece. Im sorry, I really dont know. Im sure it would probably have a lot to do with the condition.